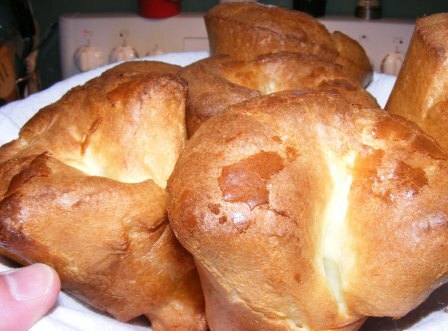 Oh, beautiful, delicious, airy, fluffy popovers! Where have you been all my life?!? 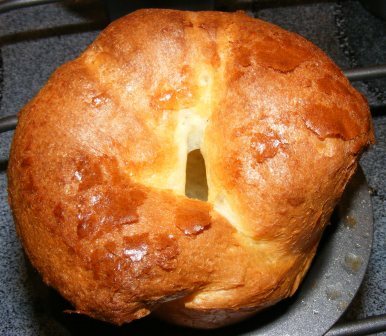 Not only had I never made a popover, until this recipe came up for Tuesdays with Dorie, I had never even tried one before. I can’t believe I have lived for 40-some years and never had the joy of tearing into one of these beauties before dinner this evening! I can promise you, it won’t be 40 more years before I make them again. It probably won’t be 4 days. 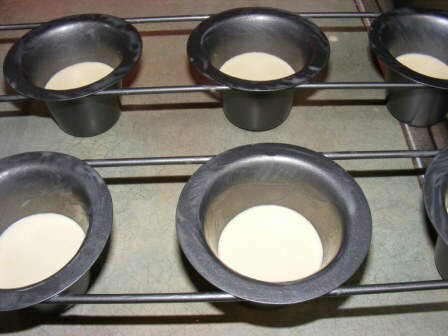 I must have been planning on making these at some point, because I have a popover pan. I think I got it with points from my bank the same time I got Baking with Julia. 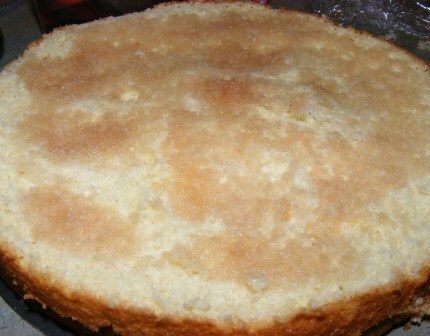 So it’s only fitting that I used the pan for the first time with Marion Cunningham’s recipe from BWJ. I preheated the oven to 400°F, as that’s what several recipes I saw using popover pans called for. Based on some of the comments on the P&Q for this recipe, I buttered the pans really well with melted butter. (As a side note, my Chicago Metallic popover pans are nonstick, and I’ve found their nonstick pans to work really well with a minimum of greasing.) I filled the cups about 1/3 full and baked them for exactly 35 minutes. They looked absolutely perfect when they came out of the oven. Dinner was on the table, so the popovers went right from the pans to a basket and onto the table. I tore into one and was surprised and delighted by how open and airy the center was. They weren’t doughy or custardy in the middle, just a little less done than the crispy exteriors. I slathered the insides with butter and drizzled on some honey. They were absolutely delicious! Soft and crisp at the same time. Puffy, buttery, dripping with honey. I could have made a meal of them. I’m glad I tried this recipe. And I’m glad to have a popover pan, wherever it came from. I only wish I had two pans so I could make a dozen of these at a time. Our hosts this week are Paula of Vintage Kitchen Notes and Amy of Bake with Amy. 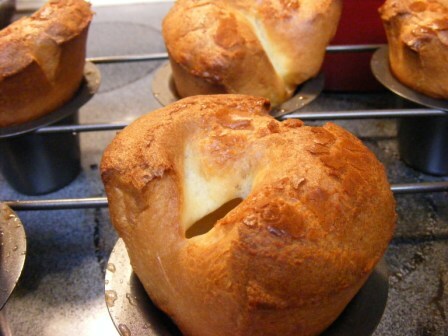 Cruise on over to their blogs for the recipe and to see what they thought of these yummy popovers. It’s the last day of Ice Cream Week, and what better way to finish than with a deliciously decadent stout ice cream? The malty, slightly bitter flavor of the Guinness pairs well with the sweet, rich custard. 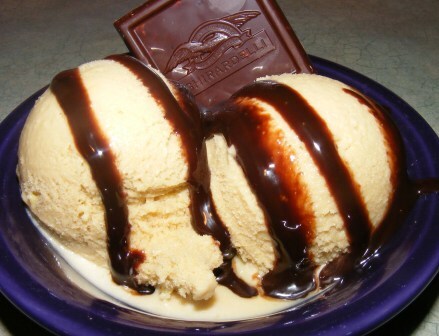 This ice cream is especially good with chocolate syrup. 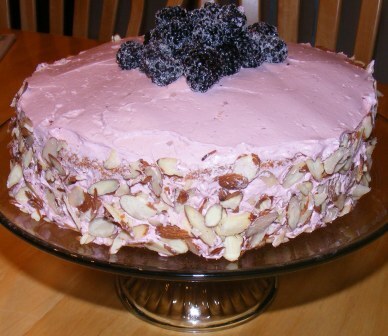 This recipe is based on one from Saveur.com. 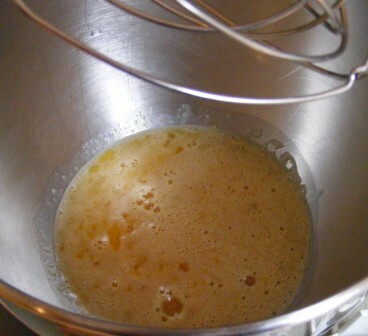 Whisk sugar, salt, and egg yolks in heavy saucepan until thick and lemon colored. 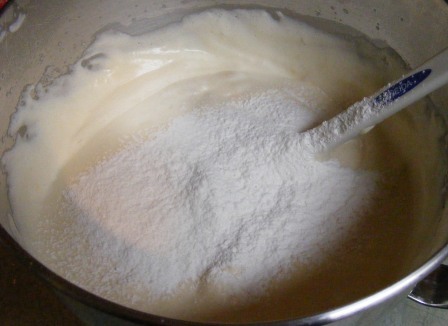 Stir in cream and half-and-half. Heat mixture over medium-high heat, stirring constantly, until it thickens, about 6-8 minutes. Pour mixture through a fine-mesh strainer into a bowl. Stir in Guinness and vanilla. Cover and refrigerate ice cream base for at least 4 hours or overnight, then process in ice cream maker per manufacturer’s instructions. If desired, add chocolate syrup near the end of the churning cycle to create a chocolate swirl. 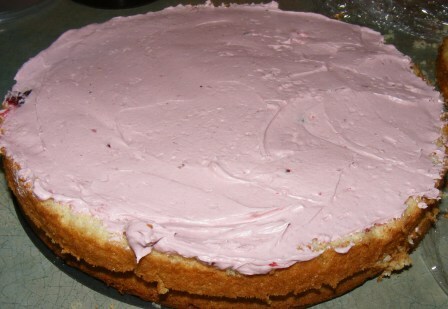 Freeze for several hours before serving. The alcohol in the stout will keep the ice cream from freezing as solid as other custards. It should be no surprise to anyone who knows me that I would make Guinness ice cream. Any more than it shocked me to read that Margaret had figured out how to make Tea and Biscuit Ice Cream. Or that Rebecca found a way to work baklava into ice cream. And Di made Chocolate Cookie Dough Ice Cream. Can you tell she has kids? I hope you’ve enjoyed Ice Cream Week as much as I have. 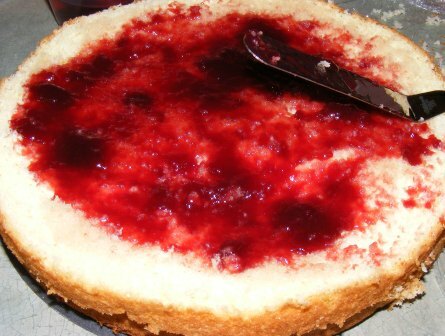 Let me know if you try any of the recipes and what you think. And I’d love to hear about your favorite ice cream recipes, too! It’s day 4 of Ice Cream Week, and today’s theme is Nuts for Ice Cream. I knew I wanted to make either butter pecan or praline ice cream for today, and when I started looking at recipes I found this one for Blackstrap Praline Ice Cream on my Pinterest board, so I figured it was a good time to try it. The original recipe is from Jeni’s Splendid Ice Creams and was published in Saveur magazine and on their website. 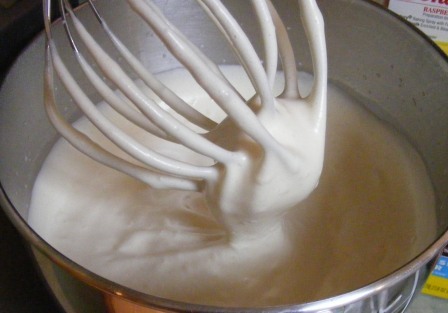 Jeni has an interesting method for making ice cream in which she boils out some of the water from the milk and cream and uses cornstarch and cream cheese to bind the ingredients and increase the fat content. Several of my friends swear by her recipes, so I was excited to try this one to see how it came out. 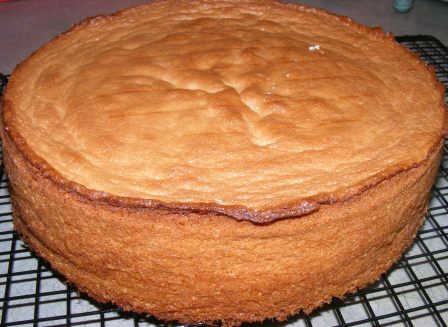 I made a few changes to the recipe, based on what was in my cupboard the day I made it. I didn’t have blackstrap molasses, so I used Brer Rabbit Mild Molasses. My ice cream was much lighter in color than the picture on Saveur, but the molasses flavor still really came through. 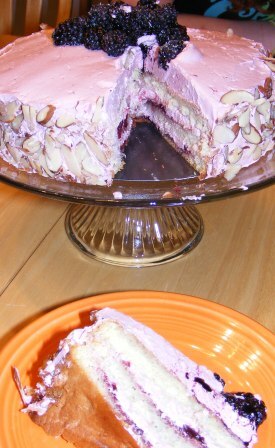 And I used almonds for the praline (a sin, I know) because that’s what I had on hand. The base had a pudding-like consistency. 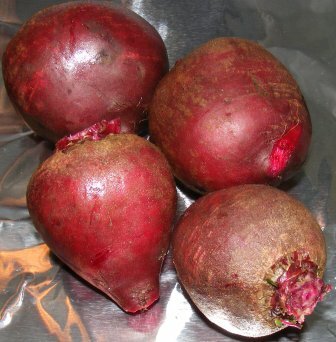 In fact, after refrigerating it overnight, that’s exactly what it looked like. 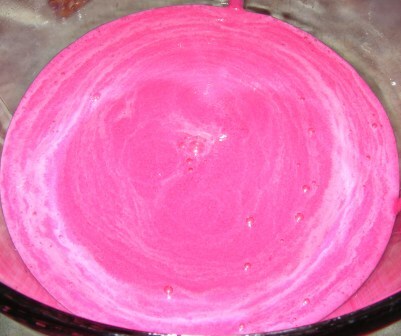 It churned up beautifully. My wife and I tried it as soon as it was done churning, and it was amazing. Rich, smooth, velvety, and the praline was outstanding, with its nutty, caramel-like flavor. But what really blew my socks off, and finally made me realize what all the fuss over Jeni’s recipes was about, was when I tried it the next day. 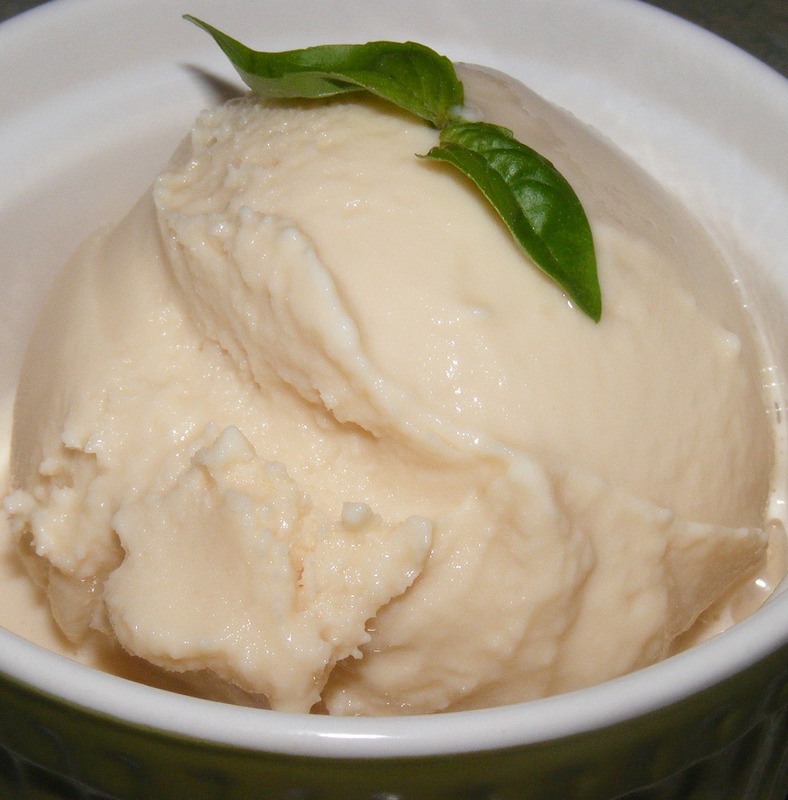 After freezing, a lot of homemade ice cream is too solid and looses that creamy consistency. But this ice cream was as smooth and creamy as any double-churned gourmet ice cream I’ve ever tasted. And the overnight rest in the freezer actually improved the flavor, too. OK, so I’m sold on Jeni’s ice cream. 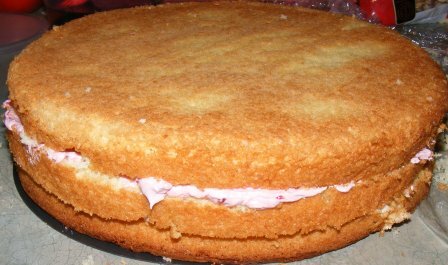 I won’t go so far as to say I’ll never make any other kind (I still like egg-based custard ice creams), but I will definitely try more of her recipes. And we might just venture to Chagrin Falls to try some at one of her stores. Margaret forgave me for using almonds in praline. Hopefully, her Greek friends will give her a pass, too, for making Baklava Ice Cream! And no forgiveness is needed for Rebecce, who made Nutella Gelato. Ice Cream Week caps off tomorrow with an original recipe, Guinness Stout Ice Cream. 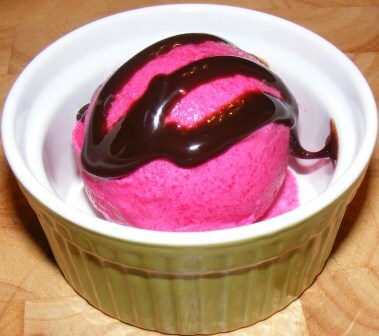 It’s day 3 of Ice Cream Week, and today’s theme is Sorbet (or Other Non-dairy Frozen Treats). I’m opting for “Other” with this frozen wine slushy treat. This wine slush can be enjoyed two ways: as an eat-with-a-spoon slushy or a wine punch. Either way, it’s a refreshing summery treat. Stir together wine, lemonade, and cranberry juice. Freeze for 3 to 4 hours, until fairly solid. The wine will keep the mixture from freezing firm. 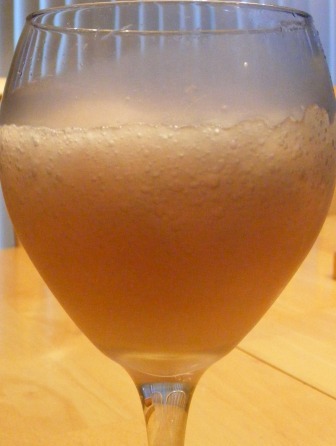 For frozen wine slush, scoop frozen mixture into glasses and serve with a spoon. 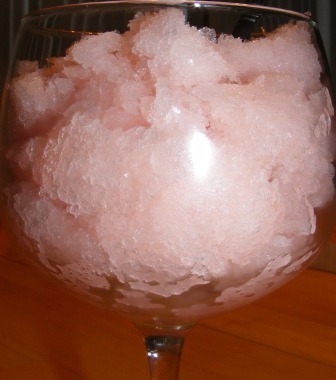 For slushy wine punch, fill glass about 3/4 full with frozen slush, then top with sparkling limeade or lemon-lime soda. Serve as is or with a straw. I will be serving this at our next summer dinner party. It’s easy, refreshing, and delicious. Margaret is 3 for 3 in Ice Cream Week so far, turning in this wonderful looking Pina Colada Sorbet for today’s entry. Di made a beautiful Raspberry Sorbet. My wife would love Rebecca’s Mango Ice. And Abby made Homemade Waffle Cones to serve it all! 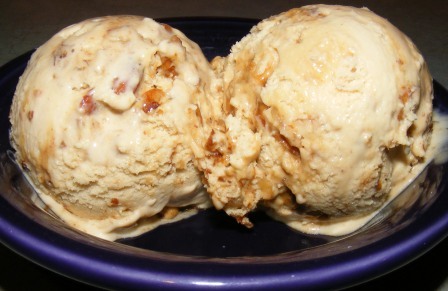 Coming up tomorrow: we’re going “Nuts for Ice Cream” with Molasses Almond Praline Ice Cream. 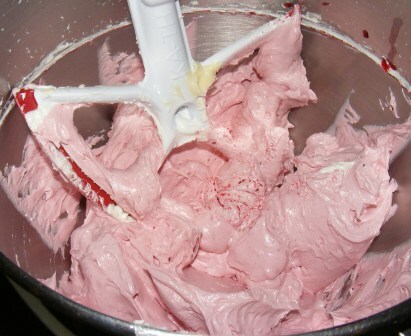 It’s day two of Ice Cream Week, and today I’m featuring an original recipe for frozen yogurt. About this time of year, I’m always trying to come up with ideas to use fresh basil. With the hot weather we’ve been having, my basil plants are growing like gangbusters, and I like to use it in different ways (one can only eat and freeze so much pesto). So I decided to try adding it to frozen yogurt. I used a combination of sweet and cinnamon basil, but you can use whatever kind you have. I might try it with a bit of Thai basil next time. The flavors of honey and basil complement each other beautifully. This is sure to be a frequent repeat around here. Wash the basil leaves, then blot dry with a kitchen towel or paper towels. Chop basil leaves (a rough chop is fine) and place in small saucepan with honey and granulated sugar. Heat until sugar melts and the mixture just begins to boil, then remove from heat, cover, and let steep for 20 minutes. 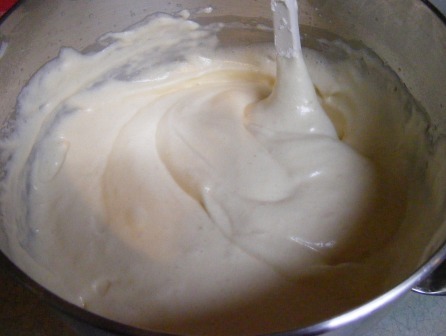 Mix yogurt, vanilla, and lemon juice in medium bowl. Strain honey mixture through fine mesh strainer into bowl with yogurt. Mix well. 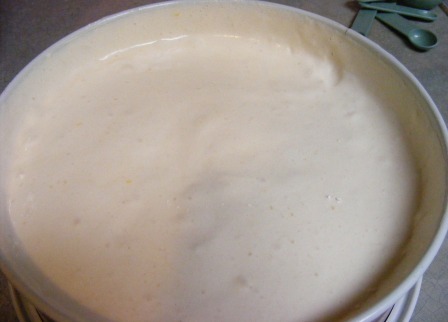 Chill yogurt mixture for several hours or overnight, then churn in ice cream maker according to manufacturer’s instructions. 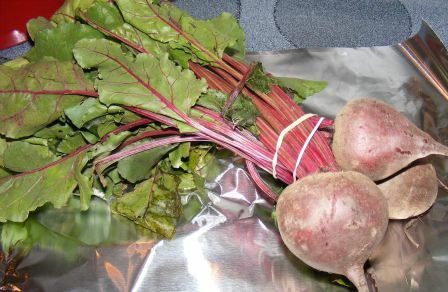 Eat soft or freeze for a few hours to harden.